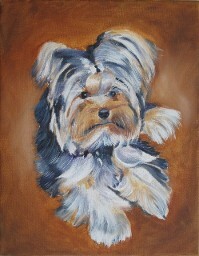 Kathie will paint a beautiful pet portrait for you. Check out prices and commission information here. 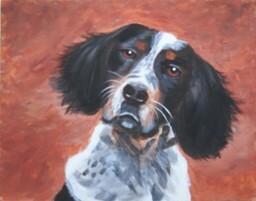 Here are some of Kathie's recent pet portraits. 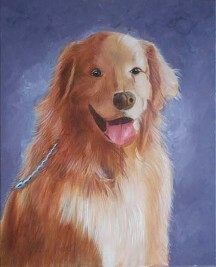 The first is Angus the Golden Retriever. 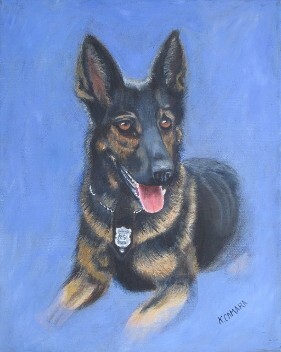 The second is Moses, a beautiful German Shepherd K-9 Officer. The cat is Alley (cute name: Alley Cat). The Photos Below: Molly, on the left, was a shelter dog and her portrait was auctioned to raise money for the shelter. Zoey, in the middle, is an adorable miniature Yorkie. The Spaniel, on the right, has a wonderful expression on her face and we use her for a model in some of my Pet Portrait classes. 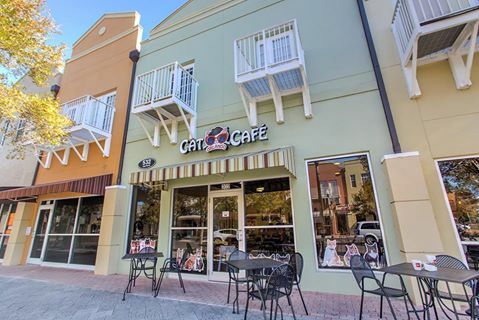 Kathie can be found every Wednesday afternoon, from 11:00 - 2:00, painting portraits of cats and kittens at the Orlando Cat Cafe, 532 Cagan Park Avenue, Clermont, FL. 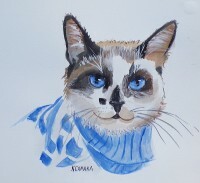 The portraits painted at the Cat Cafe are in WaterColor or Acrylic, as it is quicker to close the cover on a small palette when a curious cat jumps up on the table and tries to walk through the paint. 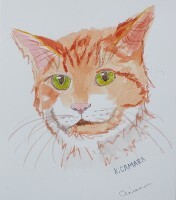 On the second Thursday of each month, Kathie teaches an acrylic class, Palettes & Pets, where students paint portraits of cats. You need to register at the Cat Cafe by clicking HERE. Photos of kitties below: Marilyn is at top right, and Cinnamon is bottom right. 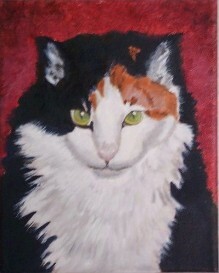 Pet portraits are now offered in Acrylic/Watercolor. 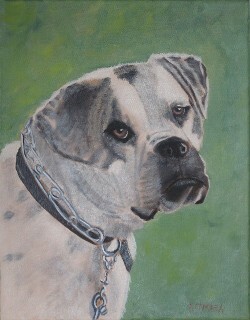 Check out our price list and see more pet portraits here.